Pauline Leclerc, of Charlottetown PE, formerly of Kirkland Lake, Ont. passed away peacefully with family by her side on Monday, April 8, 2019 at the age of 77, after a brief battle with cancer. Born on May 11, 1941 in Val D’Or, Quebec she is predeceased by her parents Grace Rozon-Arcand and Ernest Rozon. Pauline is also predeceased by the love of her life, her late husband Fernand Leclerc. Pauline began her early career in Kirkland Lake with the Catholic School Board, moving on to a lengthy career with Weston Bakeries lasting over 30 years. Always a dedicated and career driven woman, Pauline also spent 17 years with the Ministry of Community and Social Services until her retirement in 2006. Pauline’s retirement years were spent doing the things she loved, with her companion and best friend fur baby Otis by her side. She was an Avid Reader, Champion Bowler, enjoyed many crafts, Master in the kitchen where she shared her expertise with her family who will forever carry on the skills and recipes she taught them. Pauline will be lovingly missed and remembered by her children Denise (Ian)LeClerc of Charlottetown, PE and Diane LeClerc of Kirkland Lake, ON., her grandchildren Christopher (Noella) Brown of Kirkland Lake, ON, Kyle Brown of Charlottetown PE, Sheena (Kenny) Kamieniecki of Zanesville, Ohio, Samantha (Jason) LeClerc of Kirkland Lake, ON and Matthew (Kourtney) Crouse also of Kirkland Lake, ON and her great-grandchildren Jade LeClerc-Welch and Jordyn and Payton Brown. Pauline is also survived by and will be forever missed by her brothers and sisters - Evelyn (Arvind) Aggerwall, Cecile (Marcel) Joliat, Moe (Sylvia) Rozon, Robert (Alice) Rozon , Theresa (Ron) Rozon-Nixon and Pauline (Jim) Sheldon. She will be forever remembered by her many nieces and nephews. 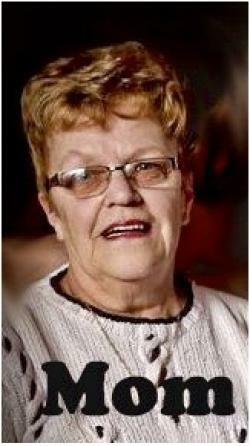 Respecting Pauline's wishes, cremation has taken place and Pauline will be laid to rest with her husband in the Kirkland Lake Cemetery in a private family burial at a later date. In lieu of flowers, donations can be made to Cystic Fibrosis Foundation, Heart and Stroke Foundation, Canadian Cancer Society or charity of your choice. The family wishes to thank and acknowledge Dr. J. Hennessey, Dr. J. Rogerson and the many kind and caring Nurses and staff of Queen Elizabeth Hospital ER Critical Care and Unit 3.